Top 10 Packing Tips for a cruise. Packing for your cruise vacation can be a challenge. The only thing we can think of that you might dread more is unpacking when you get home! Through the years, we have learned that a packing list is essential. Over the years, we have have learned "the hard way" by forgetting some essential item and then having to purchase it at double (or more) the price on the cruise ship or in a port of call. One important packing tip -- If traveling with a companion or spouse, divide your checked items into two (or more) suitcases. That way, if one is lost, you will both have some clothing to wear! It would be terrible for your spouse to have all of his clothes and you to have nothing but your carry-on. Also, be sure to carry-on anything that you cannot live without for a couple of days (or more), just in case your luggage is lost or delayed. Women going on holiday take twice as many clothes as they actually need, a new survey has revealed. For years, husbands and boyfriends have been bemused by the amount of clothes their female partners crammed into suitcases. And now a new survey commissioned by P&O Cruises has confirmed what they always suspected - that half the garments never get used. However, a leading psychologist today said that the 'over-packing' should not be seen as a fault as it demonstrates women's ability to plan for every eventuality. Cary Cooper, professor of organizational psychology at Lancaster University, said that women only packed too many clothes because they had greater foresight than men. "Women are planners and they look at every eventuality. They are also likely to think 'better to be safe than sorry'. This is why they pack so many clothes when they go on holiday. And what's wrong with packing too much? It's better than packing too little which is what men are likely to be guilty of'' he said. As it would be impossible to take all the items listed, as you have a 50lb limit, imposed by the airlines, just use the list below as a starter and modify it for your personal tastes. Some essentials and general items follow of this page, and we have a separate list for women and men. 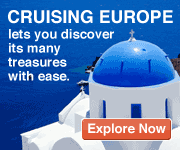 Planning a cruise, but still not sure where to go? 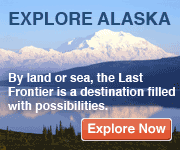 Check the Alaska, Caribbean, or Europe cruises. -- ear plugs or "ear planes"
( note: Tuxedo's for the most are not required on most ships. To ensure peace of mind while you are away, why not run over this last-minute checklist of things to do before you go? > Have the post office hold your mail. take them in for you. as well as on the outside. carry-on bag and will be available at all times. -- Never pack anything in your luggage you couldn't stand losing forever. -- Tape your name, address, phone and cell numbers inside your luggage. -- Always carry your cruise and airline documents on you and not in your luggage or carry-on bag. -- Stuff a small collapsible light weight bag or two into your suitcase. At the end of your cruise, use the bag for your laundry or those souvenirs' you bought. -- Before your go, take a picture of your luggage inside and out. This will make them easier to identify your belongings if they are lost. -- Always ask your cruise agent about any specific clothing needs for your particular ship. Some ships have special requirements that may affect your packing plan. -- Although you can purchase many items on ship or in cruise ports, you will often pay a heavy premium, and may not find exactly what you need. For example, film for your camera will cost significantly more once you leave home and you may not find the size or speed you require. -- Try to pack clothing that is re-usable on the cruise. For example, a men's blazer may be used on a formal night if packaged with the proper shirt & tie. The same blazer can be used with an open-neck shirt or a less-formal shirt and tie for an informal night. A formal skirt can be mixed with different blouses and/or jackets for varying effects. -- Formal nights are not necessarily extremely formal. Some passengers, who enjoy dressing up, will go all out with tuxedo's, long gowns, etc. On most seven-night cruises, this is not necessary. The majority of men wear a suit or blazer with white shirt and conservative tie on formal nights. Many women wear cocktail dresses, fancy dresses, or suits. It?s like getting dressed for a nice wedding. Young boys can wear nice slacks with a shirt and a tie. The more expensive the ship, the more likely that formal wear will be worn. -- Many ships have self-serve laundry and ironing facilities in addition to the available washing and/or dry cleaning. Sometimes it makes sense to do a load or two during the cruise rather than pack enough of everything for your entire trip. -- It's quite possible to avoid getting dressed up during a cruise. How? Simply plan to eat your evening meal in the Lido restaurant during formal nights, or have room service that night. You can even have a snack and a nap at dinnertime, and enjoy the midnight buffet in casual attire. If you're interested in a totally casual cruise, ask your cruise agent how the line you've chosen handles casual evening meals. By the way, Lobster tails are commonly served on one of the formal nights. If that's important to you, ask your waiter which night the lobster will be served. -- If you choose to travel with expensive jewelry, use the purser's safe when you're not wearing it. Although room safes are available on many ships, only valuables locked up in the purser's safe are covered under the ship's insurance (check you cruise contract, usually supplied with your cruise documents). Frankly, we'd recommend leaving your very expensive and/or priceless jewelry at home, or in your bank's safe deposit box. -- If you're planning to buy t-shirts, hats, etc. on the ship or ports of call, why not wear them on your cruise? You'll cut down on the amount of clothing you'll bring, and you won?t need to plan for extra space on your trip home. If you under-packed (unlikely), you can purchase additional clothing during the cruise. -- In the tropics, use light cotton clothing as often as possible. You'll be cooler and more comfortable. -- Plan your carry-on load carefully. A larger carry-on bag (within airline carry-on requirements) is useful so that you can comfortably carry a change of clothing. Keep your carry-on bag safe when you're in the airport; never leave it unattended. -- Carry all documents, medicines, essentials, and valuables with you in your carry-on. If your main article of luggage is lost or misplaced, can you exist with what you're carrying? -- Do not plan to find space for a garment bag on an aircraft. Better to carefully pack your clothing in a suitcase than to jam it into an overhead compartment. -- Instead of bringing full-size toiletries, like a full bottle of shampoo, save or purchase smaller plastic bottles and bring only what you need. Try sealing plastic bottles in zip-lock bags for added protection. -- Zip-lock baggies, preferably the thicker freezer-type, are great for keeping things dry, especially when you go to the beach. You can stuff your credit cards, driver?s licenses, cash, etc. in them and keep them safe inside your bathing suit. We recommend double-bagging them and you won?t have any problems with leakage. -- There are several reasons to bring your cell telephone with you on the cruise: 1) If you run into delays, you can call your cruise agent, airline, limo service, etc. without standing in line for a telephone; 2) You can use your telephone on the ship before it departs, and while it is still close to land; 3) You can make calls on the day you return. A cell phone is great for calling a cab or a ride from home, or making arrangements with friends who are already ashore; 4) Many ports have cellular service so that you can make calls directly without finding a phone booth. Cellular rates are usually much less than the ship's satellite rates. Some common cruising areas have surprisingly good coverage (The Bahamas, Bermuda, Puerto Rico, the Virgin Islands, and Grand Cayman, to name a few), and if you have free roaming as a part of your service, the call might even be free; 5) You never know how a cell phone will help you in transit should an emergency arise. It gives someone else the ability to call you, which is sometimes invaluable. -- Since many ships are installing e-mail and internet capabilities, you may wish to bring along a list of important e-mail addresses and web site URL's. Although this can get expensive, you might find it worthwhile, particularly if you keep close track of an investment portfolio or have important e-mail messages. -- If you really depend on a hair dryer, plan to bring your own. Even if the ship provides them, you may not find them to be powerful enough to handle your needs, particularly if you have long or heavy hair. -- A pair of personal communications devices (as kids, we used to call these walkie-talkies) is useful in keeping track of your traveling companions on the ship. As ships become larger, it becomes more difficult to keep track of one another. This is a perfect tool for young teenagers (check your batterysupply!). Some ships even offer them for rent during the cruise. -- A few emergency items are useful, particularly the flash light. It's nice to know that you have an extra light for your room, and it could come in very handy should your ship develop some temporary generator malfunctions. You?ll also want to take a nightlight if you?re staying in an inside cabin. -- For Alaska and Northern Europe: Replace shorts, t-shirts, and short-sleeve shirts with warmer counterparts. Although you may wish to have one set of warm-weather clothing for afternoon wear on a warm day, you'll be more comfortable with warmer clothing. -- For Alaska: You can dress down just a bit. Jeans are acceptable/desirable for daytime wear. Bring rain wear, waterproof footwear, wool socks, a warm sweater, a wind-proof shell, warm gloves, and a stocking cap. Although you may not NEED this much if the weather is warmer, cold (low 50's), windy and rainy weather is not uncommon along the coast of Alaska. -- For Northern Europe: Temperatures can be cool during the summer, particularly in the evenings. Baltic cruises tend to be dressier. A warm sweater and gloves might be useful, particularly in late August. Absolutely bring an umbrella! -- For the Mediterranean: Summer temperatures are similar to the Caribbean. Spring/Fall are cooler and more formal. Winter Cruises in the Med can be very cool, although snow/ice are not likely. -- For Bermuda: Weather is beautiful from May through October, although cruising to/from New York or Boston can be quite cool in early and late seasons. Bermuda is in the Gulf Stream, while New York and Boston aren't, so be prepared for a change in weather! -- Most cruise lines do not permit you to carry alcohol on board due to customs regulations. -- Traveling with Food or Gifts? Declare larger liquids. Medications, baby formula and food, and breast milk are allowed in reasonable quantities exceeding three ounces and are not required to be in the zip-top bag. Declare these items for inspection at the checkpoint. Airlines have a weight limit ( around 50lbs per person, per bag ) so be frugal when you pack. Not only will it lighten your load, it will save you from significantly high extra bag fees. help make your vacation more comfortable, enjoyable and memorable. Pack two bathing suits (an extra suit in case the other is wet) and a pair of casual shoes (e.g., flip-flops, sandals, sneakers). You'll also need some casual shorts and a couple of t-shirts or a cover-up for getting to and from the pool areas. 10. Don't Pack Valuable Jewelry. Blend in - Don't Stand Out. Vacationers are common targets for thieves and luggage often gets lost along the way, so don't pack anything you cannot afford to lose or replace. Criminals and con-artists look for people who stand out with flashy jewelry. Leave all that stuff home and dress so you fit in with the locals. Pack any valuable items you bought while on your cruise in your carry-on. Too many checked bags end up as lost luggage. 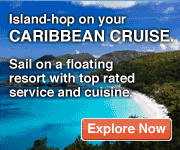 Planning a wedding, friends & family cruise, a corporate meeting or incentive program. Perhaps a reunion? Get 8-16 people to go and you could travel free! Get reduced rates for as few as 3 couple with our Princess Mini-Group Rates. Groups, Friends, Family Reunions, Weddings, Anniversary Parties, And Fund Raisers. NOTICE: Information posted on this web site was accurate when published, but packing tips, rates, sailing dates, ports-of-call, discounts, special offers and amenities such as shipboard credit or cabin upgrades and all other aspects of any of the cruises listed at this web site can be changed by the cruise line or travel provider without notice.